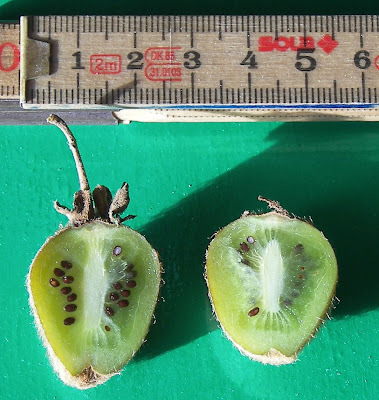 Boyfriend harvested some tiny kiwi fruit. They are real small but very tasty. Small can be beautiful too.